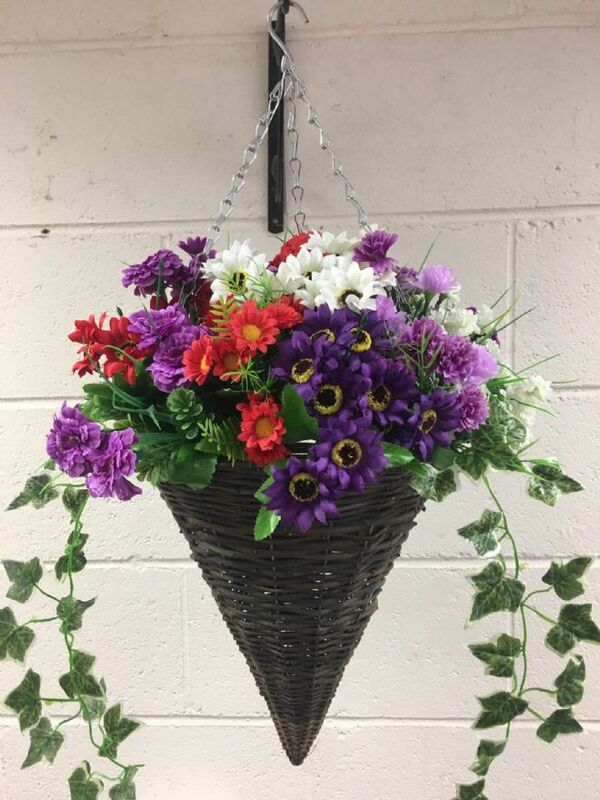 Eternal Bloom artificial flower cone Hanging Basket . Perfect for adding colour to any outdoor areas.... Each design is handmade which we hope will overachieve all your expectations. If you would like any specific colours or flowers please take a look at our individual stem section for options.